The Consumer Electronics Show (CES) closes in Las Vegas on Friday having seen more than 180,000 visitors over its four days, viewing more than 20,000 new gadgets and devices expected to set the technology agenda over the coming years. But Ben Wood, technology expert and analyst at CCS Insight, has warned of some firms leaning on the phrase “artificial intelligence” as a way to gain attention rather than as a tool to create the next generation of useful products and services. 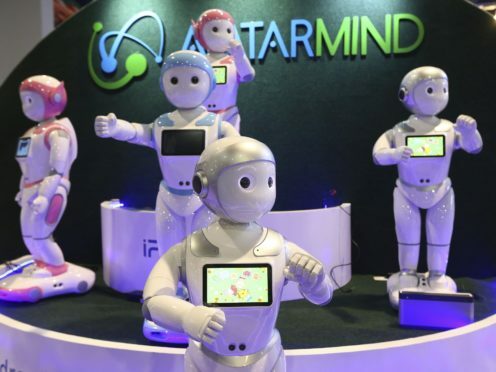 “In our curtain-raiser to CES we tipped artificial intelligence to be the lead theme at the event,” he said. “All the evidence from the numerous high-profile media events so far has confirmed this expectation. “AI has featured in almost every press conference, but assessing its effectiveness and whether it’s anything more than a few clever algorithms is proving almost impossible. Industry heavyweights including Sony, Samsung, LG and Panasonic all exhibited at the show alongside thousands of car manufacturers, robotics firms and start-ups, many of which referred to AI in some way. Mr Wood said this use of the term could have implications in the future. “This ‘AI rinsing’ risks devaluing the long-term potential of the technology, and there’s a danger that unrealistic claims about its capabilities could hinder progress in the coming years,” he said. The annual trade show was also notable this year for the appearance of the first foldable screen smartphone – Royole’s FlexPai – as well as a new range of Samsung robots and new audio technology from Sony called 360 Reality Audio, which it claims creates a surround-sound experience using only a single source rather than a range of speakers.